For low-income aspiring entrepreneurs, access to the capital and space necessary to start a business is typically out of reach. As a result, this demographic who would benefit the most from the opportunity to start a business, are left with few options to get their ideas off the ground. 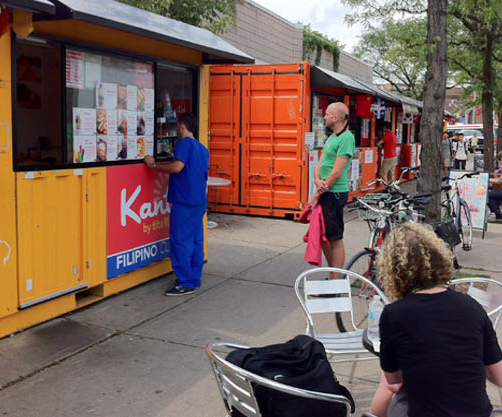 However, with creativity and meaningful partnerships, there are ways to create quick and affordable vending spaces, which ultimately allow low-income entrepreneurs to flourish. Business out of the Box (BoB) was born with these concepts in mind. 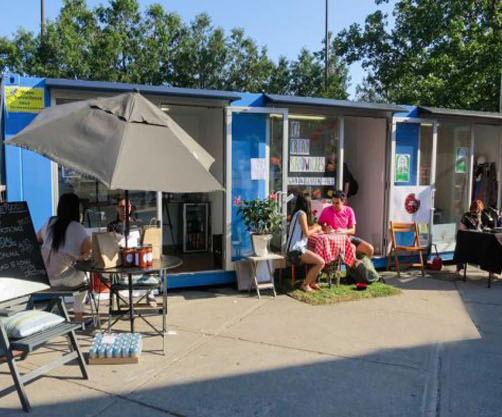 Business out of the Box provides a platform for both communities and entrepreneurs to transform underutilized spaces in a neighbourhood into vibrant, lucrative and inclusive markets. In addition to this, it showcases local businesses and talent to bring people together to celebrate a community. The innovative and unique space provided to vendors is true to the models name; SCCC provides shipping containers that are brightly painted and retrofitted to the vendors needs, giving a distinctive experience for both the customer and owner. The most attractive feature of shipping containers is that they also allow for an affordable space that can be modified and placed in any location necessary. 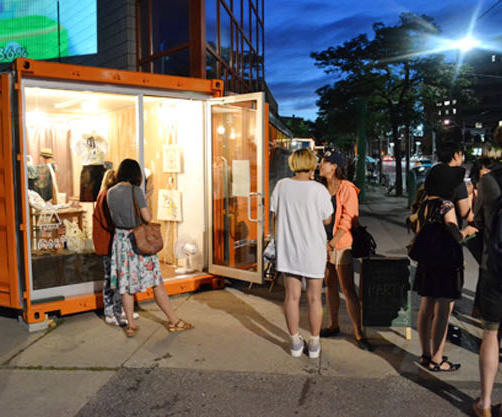 The first implementation of this model is shown from Market707, Toronto’s First Shipping Container Market. This market was the first of its kind to successfully launch in Toronto’s downtown and continues to be profitable for all vendors. We invite you to explore the markets that have been introduced into communities throughout the City of Toronto, and have proven to be successful to this day. Interested in bringing Business out of the Box to your community? Contact us today to find out how you can introduce this innovative market to your area. Be sure to explore our tools to learn more about our background and how these projects are financially sustainable and grounded in a strong business model.